I still haven’t uploaded photos from the War Remnants Museum or Reunification Palace, but I did go and was deeply moved and incredibly interested/ shocked at the all the displays and horrifically graphic exhibitions. Here we have the most insane and amazing bus of my entire life. A rather hung over group boarded this bus in amazement, and after some horrible bus journeys through Cambodia which I left sporting an insanely sore bum, this was heaven. 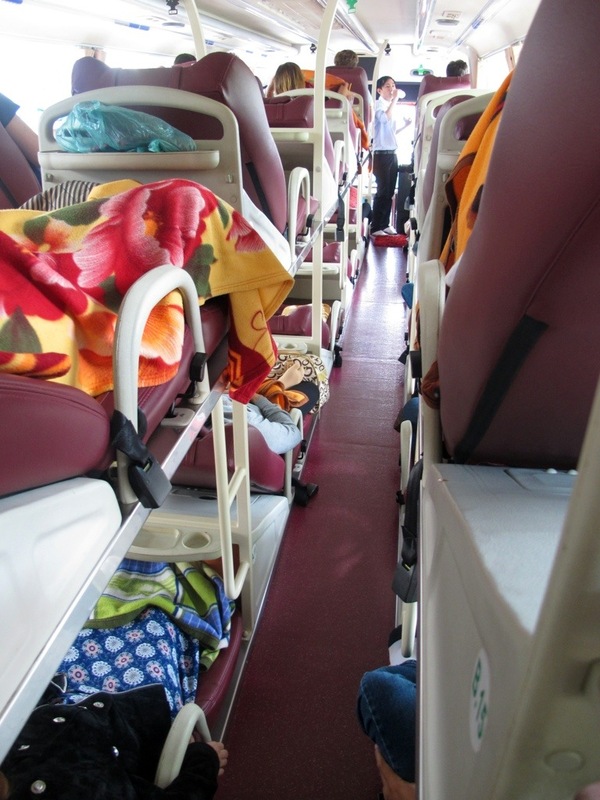 The sleeper bus could not have come at a better time for us all to have our own perfectly reclining chairs. Although we were stuck with the back seats according to our booking and I was shoved in the middle cause it was the seat with the smallest leg room. I still enjoyed sleeping comfortably for a huge portion of the bus trip!